Valentino Rossi is worried Yamaha will "need another season" to recover its MotoGP form if it fails to find a quick solution to its electronics issues. Rossi and team-mate Maverick Vinales suffered with a lack of grip in the sweltering conditions all weekend at the newly-resurfaced Jerez, with the pair only 10th and 11th in qualifying and circulating in the outer reaches of the top 10 for much of the race. The collision that took out Andrea Dovizioso, Dani Pedrosa and Jorge Lorenzo in the closing stages allowed Rossi to salvage fifth, and he felt his pace was better than it was at this race last year - in which he finished a distant 10th. But he admits eighth was his "limit" had it not been for the crash ahead of him. "To arrive in the fifth position after my speed in the weekend is positive, and in the end now I feel quite happy," Rossi said. "But this is not good news to be happy after a race like this, our technical situation is like this. "It's also true that it depends on the track, because in some tracks we suffer more, in some tracks we suffer less. "But, for me, it's very clear what we have to do on the bike and it's true we need time, but Yamaha have to do an effort to try to shorten the time because if not we need another season." 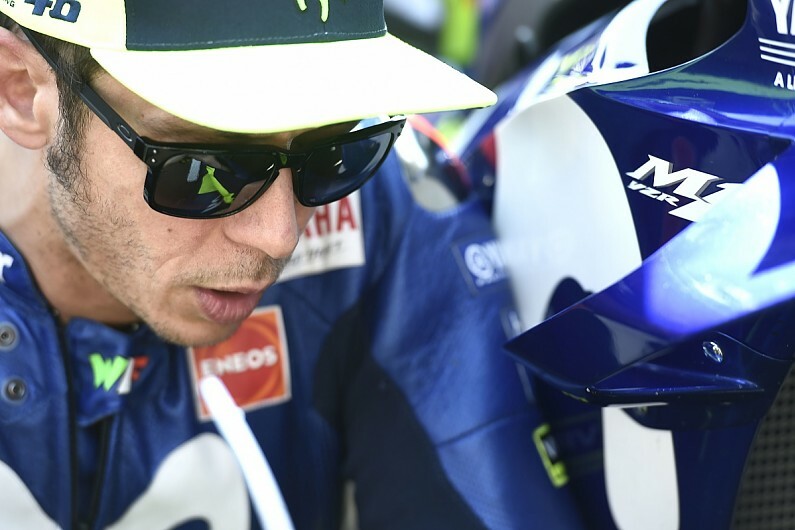 When asked if any of his problems stemmed from the bike itself, Rossi said it was "25/75" mechanical and electronics. He added that Yamaha will only be working "on the 25" element of electronics in Monday's Jerez test, but feels the team should have begun this work sooner. "It's a shame because the rest of the bike is good this year, but we need that [electronics fix] and I hope that Yamaha give 100% to fix the problem as soon as possible," said Rossi, who is only sixth in the championship after four rounds and already 30 points behind leader Marc Marquez. "From what I understand, it's work that needs time. This is the bad news, but the good news is anyway you have to work on the black box. "So the problem is you need to start. From when you start you need time but when you don't start, the races, months, championships pass and we still have the same problem."